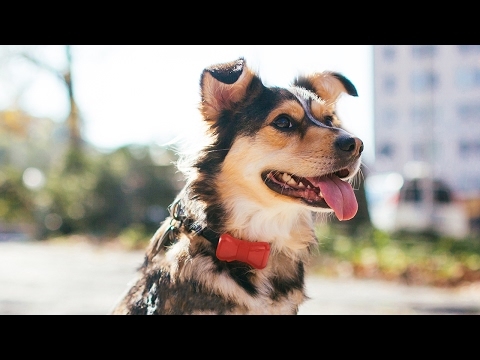 A dog activity tracker can be a fashion statement, too. This collection of three interchangeable bands let you mix up your pup’s look while keeping an eye on his health. We’re dog people, so we want to stay connected to our pets. WonderWoof does just that with a dog activity tracker that lets owners keep an eye on their pet’s health. 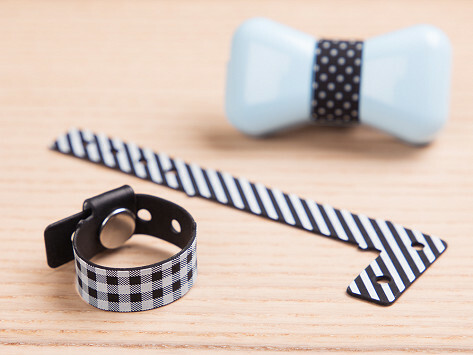 The super cute BowTie-shaped tracker collects data on sleep, activity, and playtime. Through the companion app, pet parents can review the stats and get health-improving tips based on the dog’s breed, size, and age. They can also set care reminders, like vet appointments, and connect with friends to meet up for dog walks. Betsy Fore was concerned about her dog Whisky’s weight because she knew extra pounds could affect his lifespan. Betsy hacked apart her own fitness tracker and refashioned it for Whisky to wear. By seeing his daily activity (or lack thereof), Betsy was able to make changes to Whisky’s diet and exercise routine, which helped him shed some weight. This of course delighted Betsy, and we’re sure it put some extra wag in Whisky’s tail, too.